A few years ago I went to a theater in New York at the invitation of flutist Dave Valentin to see him receive an award for his contribution to Latin Jazz. Next thing I knew there was another flutist entering the stage: Andrea Brachfeld. 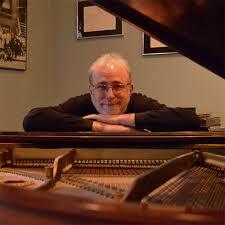 The previous year, 2005, I attended a jazz festival in Cape May, New Jersey which was primarily a tribute to Herbie Mann, featuring Hubert Laws, Dave Valentin, David ‘Fathead’ Newman, Tim Eyermann, Chip Shelton and T.K. Blue. 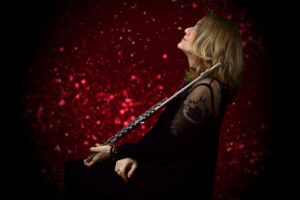 I was there to meet Hubert but when I went backstage to say hello there was another flutist with him: Andrea Brachfeld. Later I played several times with the NFA Jazz Flute Big Band. Two seats down from me was: Andrea Brachfeld. 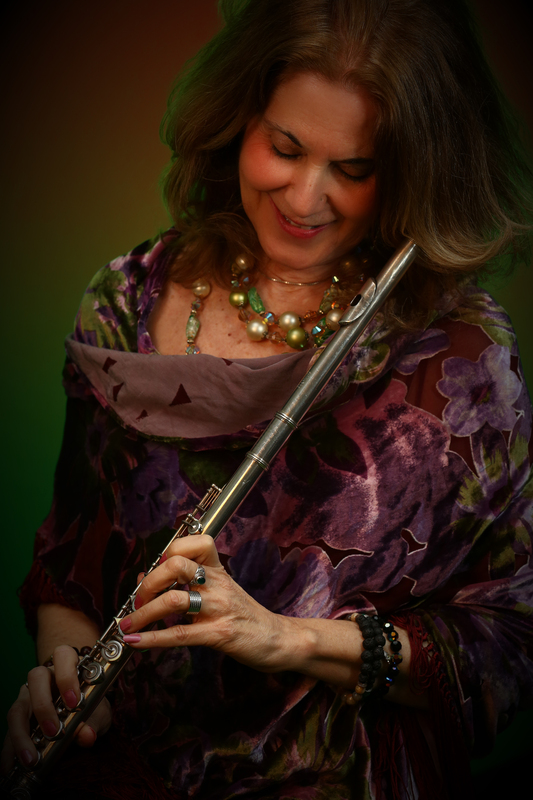 New York flutist Andrea Brachfeld has appeared a number of times within Flute Journal recently. In 2016 she reported on her battle with focal dystonia, and issued her CD Lotus Blossom. In 2017 she appeared in concert with the ensemble Flutes and the Abstract Truth and last year Jessica Valiente caught her with her own quartet at the Jazz Forum in New York. On that occasion she was performing the material from a new CD If Not Now, When? The recording has now been issued. It has always been a pleasure to hear Andrea as she consistently exhibits what Latin Beat Magazine calls “… impeccable technique and admirable melodic skills.” This is certainly true of her latest project. 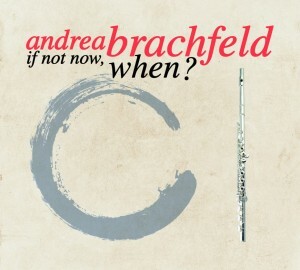 If Not Now, When?, is the third in a series of recordings that represent a change of direction for Andrea. Having studied and worked with the likes of Jimmy Heath, Billy Taylor, Yusef Lateef, Barry Harris, Hubert Laws,, Eddie Daniels, George Coleman and Fred Hersch she established her jazz credentials early on. But she also encountered Lloyd McNeil and Mauricio Smith and, tempted by the Latin side of the force, she found herself playing in Charanga groups and spending 2 1/2 years performing in Venezuela. Several Latin jazz recordings followed, establishing her reputation in this genre. Yet, as trombonist Wycliffe Gordon reported, while working with Andrea on her Lady of the Island recording: “Though she (Andrea) has varied tastes in musical approaches and stylistic interpretations, she is a hard bopper at heart.” And so it was that Lady of the Island became the first of three recordings that represent Brachfeld’s return to her original love—bebop. Second in this series was Lotus Blossom, which was reviewed at Flute Journal by Damjan Krajacic back in 2016. Unlike Lady of the Island which featured various guest performers, with Lotus Blossom Brachfeld focused in on an essential format, a quartet featuring pianist Bill O’Connell who, as Dave Valentin’s accompanist for many years, is also well established in Latin Jazz, but who has here followed Andrea back into the bebop fold. If Not Now, When? is similar to Lotus Blossom in many ways: genre, format, feeling. It certainly matches it in quality. It differs in one significant respect, however: with the benefit of a grant from Chamber Music America and the Doris Duke Charitable Foundation, Brachfeld was able to take the time to write a program of original compositions, four of them (1,6.7,9) her own, five (2,3,4,5,8) written in collaboration with O’Connell. Only Amazing Grace is a traditional melody, although it is transformed by the treatment given it by the quartet. 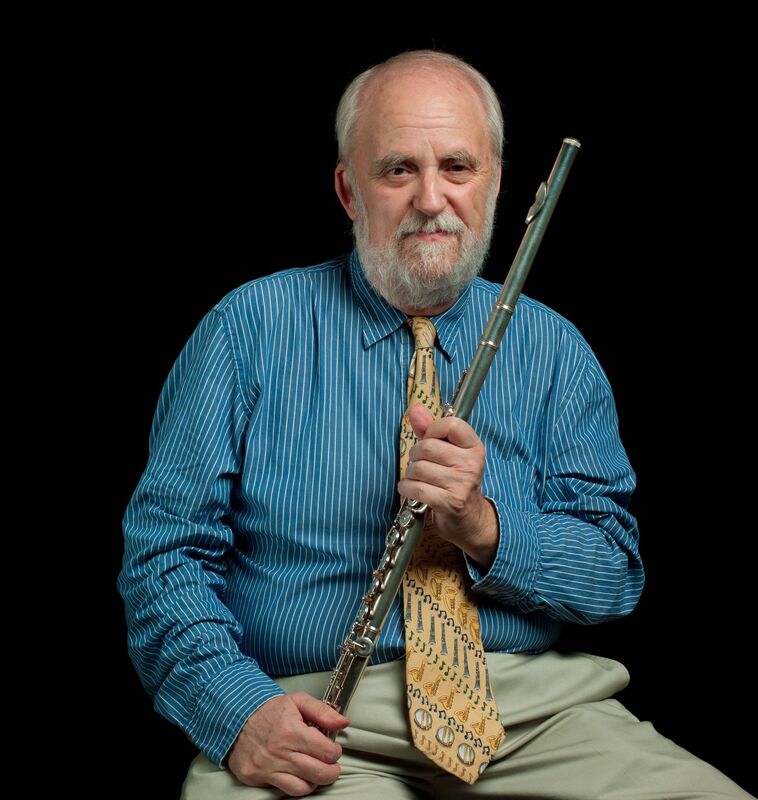 Adding what Downbeat calls this “compositional acumen,” to the mix creates an even greater cohesion to the program and enhances the already impressive skills the soloists exhibit on their earlier recordings. Jessica Valiente describes some of the compositions in her review of their live performance. Suffice to say that Brachfeld and O’Connell compliment each other perfectly, bassist Harvie S. and drummer Jason Tiemann provide more than adequate replacements for Rufus Reid and Winard Harper and the end result is that this recording belongs in your collection if you have any interest in the flute in jazz. Charanga del Norte at Mansion House Great News — Flute Journal hits 500,000+ Page Views!